AND…it’s about committing to a lifestyle that works for you and allows you to look and FEEL your best. It’s about being super clear on your intentions so you know what you are working so hard for. The lifestyle we live is a practice. Every single day, multiple times a day, we have to make heart centered decisions around the way in which we choose to nourish ourselves. Life is hectic, there are too many plates to spin while you dance Qoya and other acrobatic moves to juggle family, work and soaking up all the goodness that is life. But here’s the thing… Eating is sacred time. It’s how we commune with loved ones. It’s how we feed ourselves physically, energetically and wait for it… even emotionally. Yup. I said it, but isn’t what why we love Strawberry Shortcake on the 4th of July? Isn’t that what traditions are made of? Isn’t that why we gather around the picnic table to “break gluten free bread” and celebrate freedom? When we go, go, go, the cortisol (fat storage hormone) gets pumping and our system can’t digest properly, our brain doesn’t get the memo and we over eat. It doesn’t have to be this way. You don’t have to be a lion trainer…although you may feel like a zoo keeper some days 😉 to nourish yourself with delicious and healthy foods. The Art of Sacred Eating. 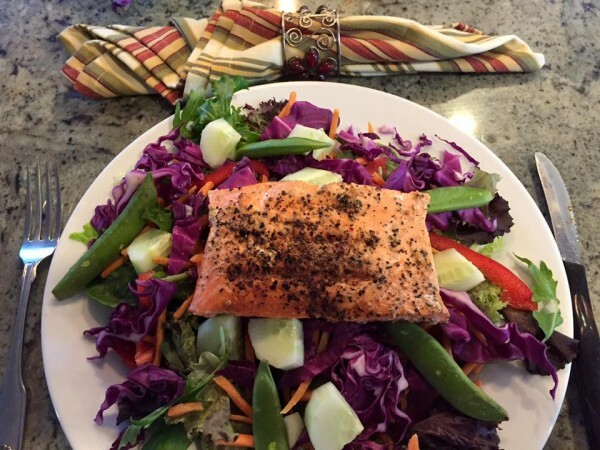 Honor the act of nourishing yourself with food. Food creates so much ‘static electricity’ for people. I feel it, I see it, I live it. All the sprinkles, glazes and special sauces light us up and make us drool. I’ve been told that food isn’t supposed to be exciting. It needs to be bland… Vanilla. Cooking is one way I connect to God. I channel my inner alchemist and let Source energy guide me, much like a painter or vocal artist. It’s my art. It’s how I express myself, share my love and heal myself and my family. Of course it lights me up… that’s it’s job! To energize and fuel me so I can nourish others. So I make it a sacred practice. I honor it. Like the ocean, or a beautiful horse, I don’t under estimate it’s power, and I revel in it’s soothing beauty. I stay alert, I practice gratitude, and I remain connected…to nature and to something greater than myself. Use REAL plates and CLOTH napkins. Why save the “good dishes”? The food you make for is worthy of fancy. Say Grace. See the blessings in the beautiful, organic clean foods you are eating. Here is my go to: “Thank you for this beautiful food and all the work that went into making it possible. Thank you for my willingness to let it nourish me… Mind ~ Body ~ Spirit.” I even said a quick version while at the dinner party the other night, and I’m certain no one knew what I was doing, but I was committed to not completely abandoning my clean eating wagon just because we were celebrating. No devices. It’s so easy to scroll Facebook or eat your lunch while sitting at your computer. Distractions are everywhere, but when you are eating…EAT. Commune with your food, yourself and your family. See it as sacred. Honor it. Allow it to nourish you. Chew each bite 20 times (or more). 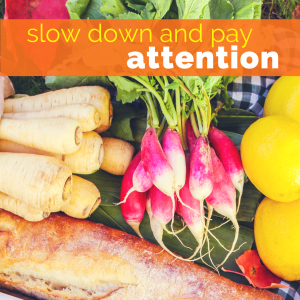 Assist your digestion by giving things a head start. SLOW DOWN. Be mindful of the macro and micro nutrients you are fueling your body with. Taste the love that you or Stacy and Helen sprinkled into your delicious food. Put your fork down between bites. Your food isn’t going anywhere and there is no one higher up on the food chain coming to take it away from you. Except maybe your dogs, but you can ignore them. 😉 Use this time to slow down and don’t pick it up for another bite until all the food from the previous bite is down the hatch. Breathe. When you don’t breathe properly, you are signaling stress to your body. It can’t properly digest or assimilate food when it’s in “flight or fight” mode. Rub some lavender on your wrist to support your adrenals, drop your shoulders and soften your lower back. This will let your system know that all is well. There is no mountain lion. You have enough. You do enough. You are enough. Take your foot off the gas. Watch Your Portions. Even too much of the “good stuff” can create toxic overload. 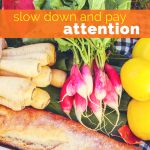 Three small meals with lots of raw greens and two snacks might feel like not enough, but when you eat mindfully and allow your system to absorb it all you are more satiated. Enjoy it and ALLOW it to nourish you. Make friends with your hunger pains. When you are physically hungry, you are digesting, cleansing and releasing weight and burning fat. So do a happy dance and drink your water. When you are emotionally hungry there is no food on the planet that will fix it so nourish yourself in some other way. Fill up with a walk in nature, do a guided mediation or write in your journal to discover what you are really hungry for. THIS is where the REAL work begins. While these rules may not be realistic EVERY day, commit to using them as much as possible. You will be amazed by how much less food you eat when you allow your system to register that you have actually eaten a meal. Also… it makes the night time pantry grazing not even worth it. It’s too much trouble to go thru all the steps above to eat a handful of chocolate covered almonds or tortilla chips. Make as much of this soul food and savor it every day. Add lots and lots of Devine love. Use REAL plates and CLOTH napkins. Always sit still when you eat. Chew each bite 20 times (or more). Enjoy it & ALLOW it to nourish you. Make friends with your hunger pains.